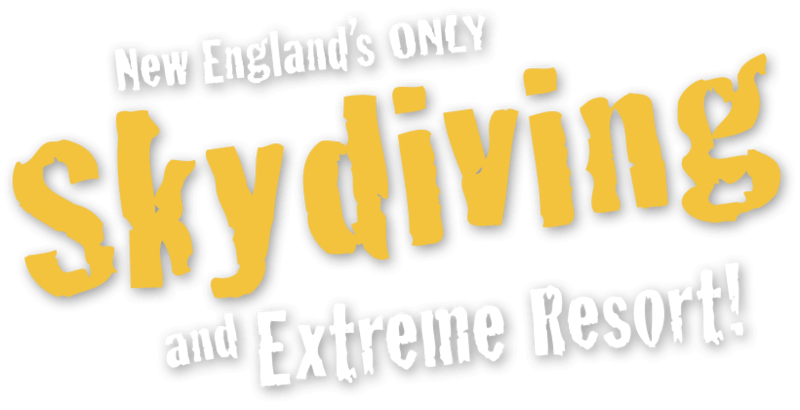 Welcome to Skydive New England! 2018 marks our 34th year of operation in southern Maine. 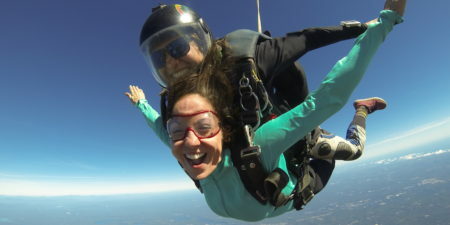 Skydive New England is known for it’s fun and friendly atmosphere and our passion for the sport. We employ state-of-the-art training methods and use only the latest technology in skydiving equipment. We boast an excellent safety record, and all of our instructors are licensed through the United States Parachute Association (USPA). Each of our instructors has completed an intense training program to ensure the best possible methods of instruction. Our AFF student training program is among the best in the country and continuously evolves to meet the advances in our sport. We are very proud of our program; we’re sure you will be too! Tandem skydiving is today’s most innovative and popular way of making that first jump! 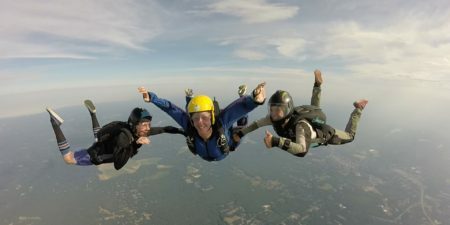 Your adventure begins with a 30-minute ground school where you meet staff members, view instructional videotapes, and get a general overview of your jump. You will learn how to exit the aircraft, freefall techniques, and body position during landing. 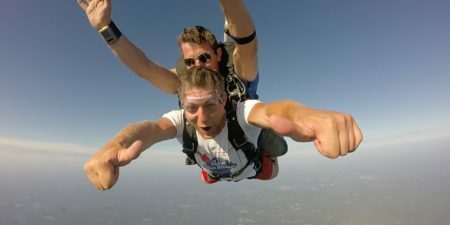 Tandem jumping uses the dual instruction approach similar to learning how to fly an airplane, and your tandem instructor will be there to assist you through all phases of your skydive. The plane ride lasts about 15-20 minutes, and the views from our dropzone are incredible. The ocean views of the majestic New England coastline and breathtaking New Hampshire mountains will surely enhance your experience. Not a skydiver? No problem! 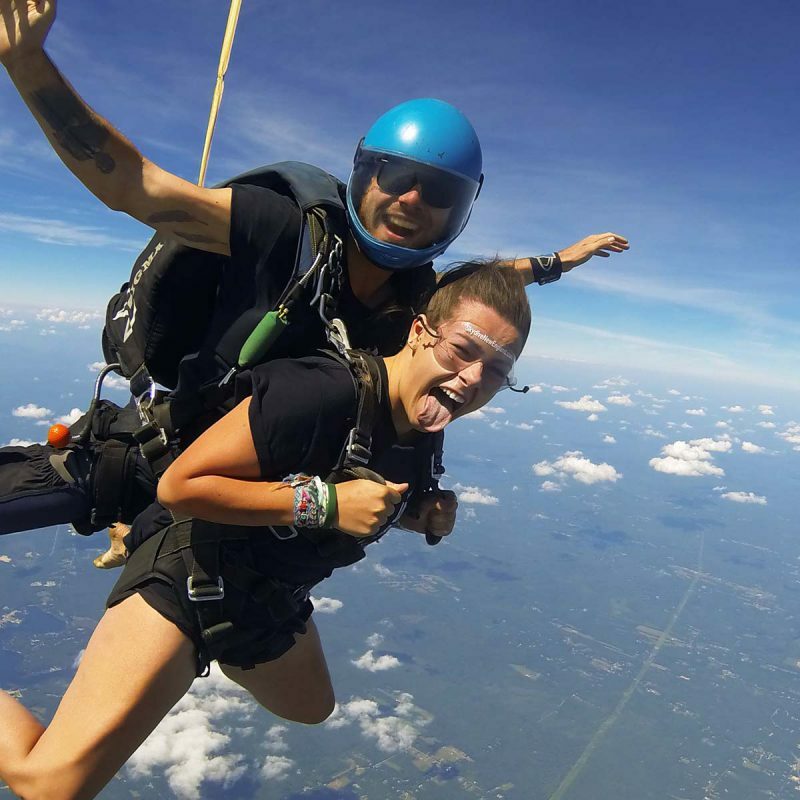 Jump from 14,000 feet in tandem with one of our professional skydiving instructors. 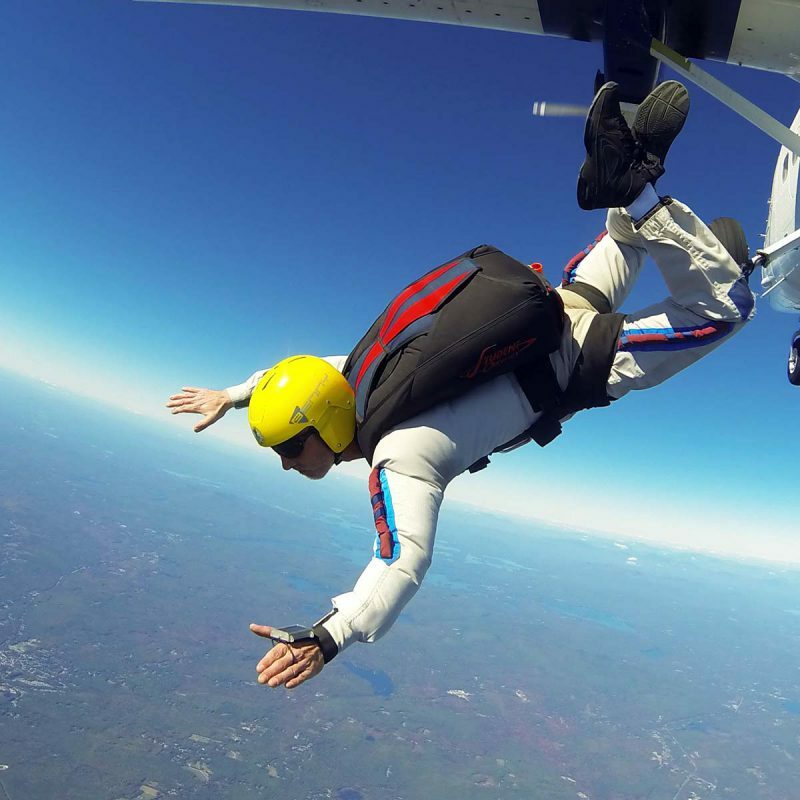 Tandem skydiving is perfect for those who wish to feel the thrill of a skydive without a full day of training! 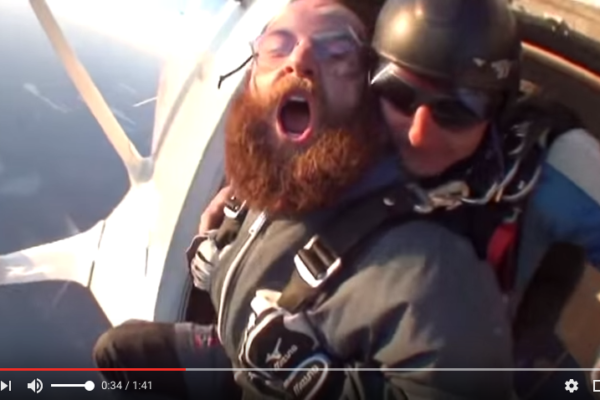 Becoming a licensed skydiver isn't as intimidating as you might think! Our Accelerated Free Fall (AFF) program is designed to build skill and confidence one jump at a time. 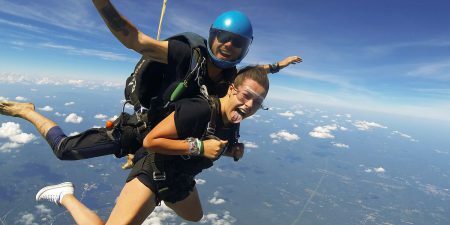 If you've ever wanted to make skydiving part of your lifestyle, allow us to make your dream a reality! 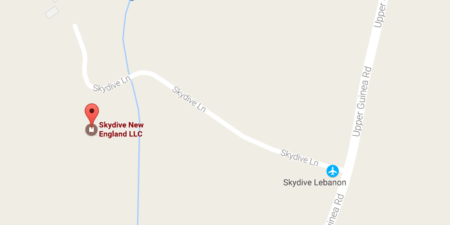 If you're an experienced jumper, we want you to call Skydive New England your home DZ. 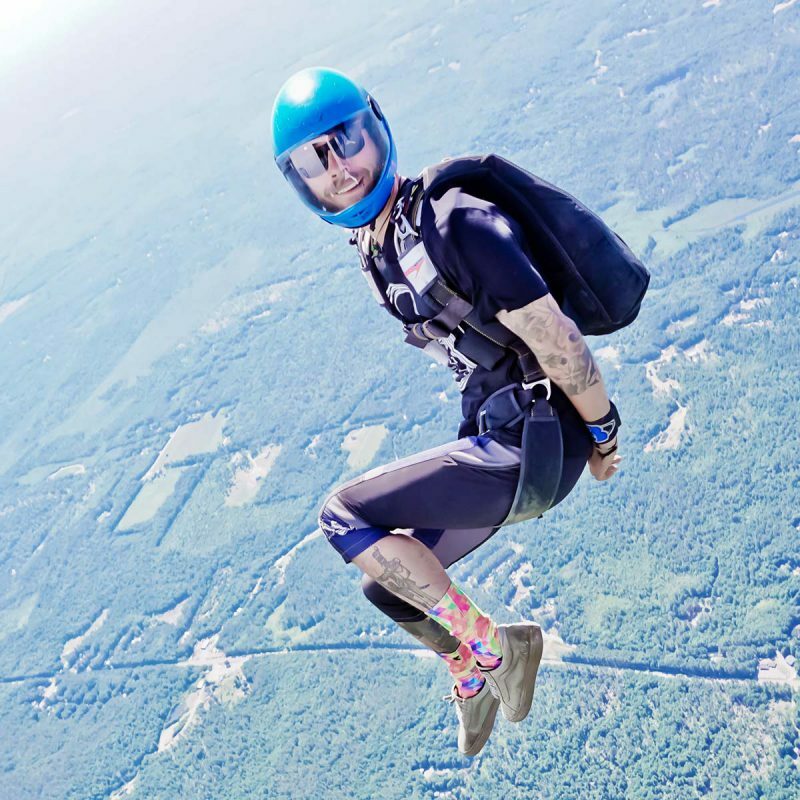 We embrace the community and welcome all to experience the Skydive New England difference! I've been jumping here since 2003 and don't have enough positive adjectives to describe this place. It's a little slice of heaven! They're dedicated to safety and determined to show you a good time. I love it and love all the staff that makes this place what it is! Get our monthly newsletter with updates, specials, and more! 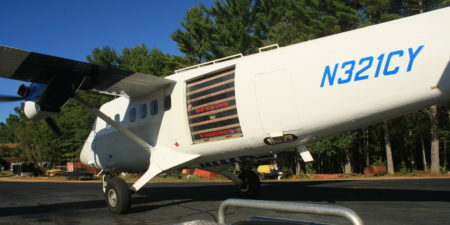 Skydive New England is a member of the United States Parachute Association. 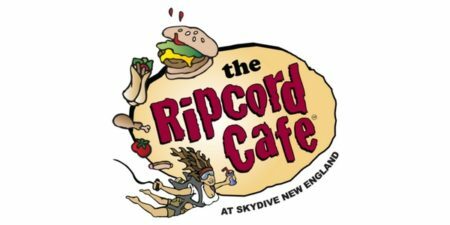 Copyright © 2019, Skydive New England, All Rights Reserved. 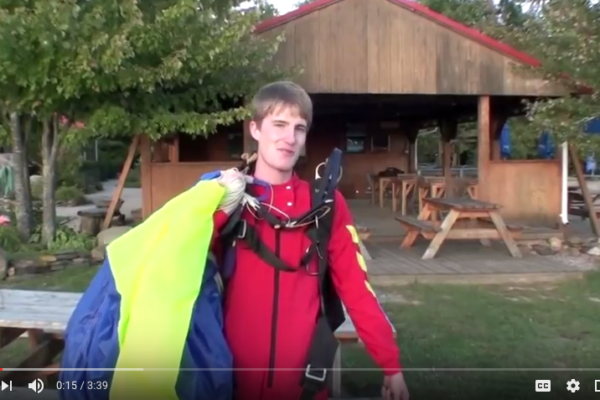 Learn what it costs to become a certified skydiver. Answers to frequently asked questions about the AFF program. 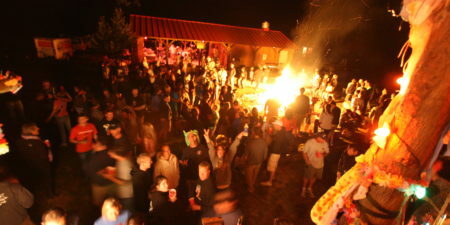 The SNE calendar is filled with great events... which one are you coming to? Thinking of visiting? Here's everything you need to know before you visit SNE. 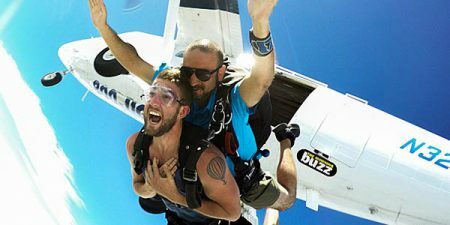 Tandem skydiving allows people to enjoy the thrill of free fall without having to go through hours of training. 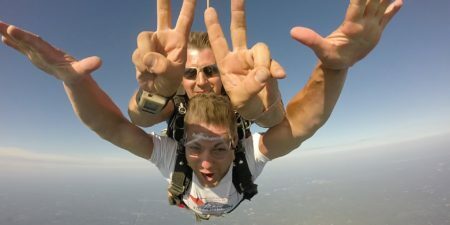 One of our professional freefall videographers can jump right along with you and capture your jump on video! 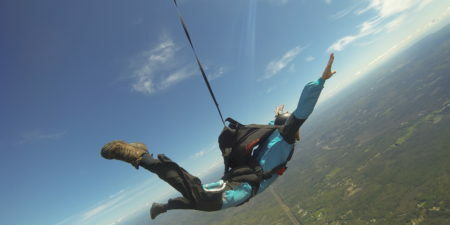 Skydive New England is known for it's fun and friendly atmosphere, and our passion for the sport. We employ state-of-the art training methods, and use only the latest technology in skydiving equipment. Offering a variety of great food with daily specials and several famous BBQ's throughout the season. You're one click away from scheduling the greatest adventure life has to offer! If you'd like to give skydiving as a gift, you can send it to the recipient via e-mail. Loved you guys, thanks to all.